Students can Network, practice presentation skills, meet legislators, and engage with their community of graduate and professional students. 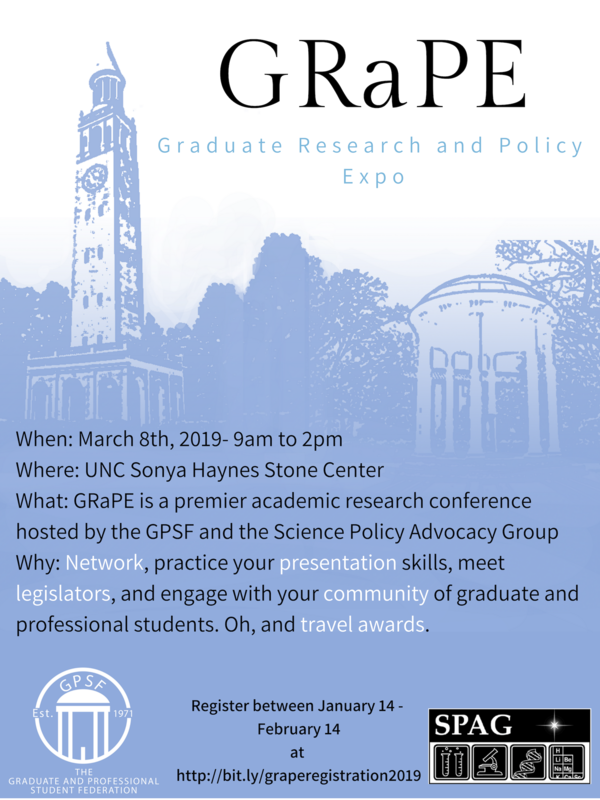 Graduate students interested in giving a short talk in a relaxed but professional setting should consider attending the Graduate Research and Policy Expo on March 8th from 9-2pm in the Sonya Stone Center on UNC’s campus. You can present posters and/or lightning 5 minute thesis talks aimed at a general audience. 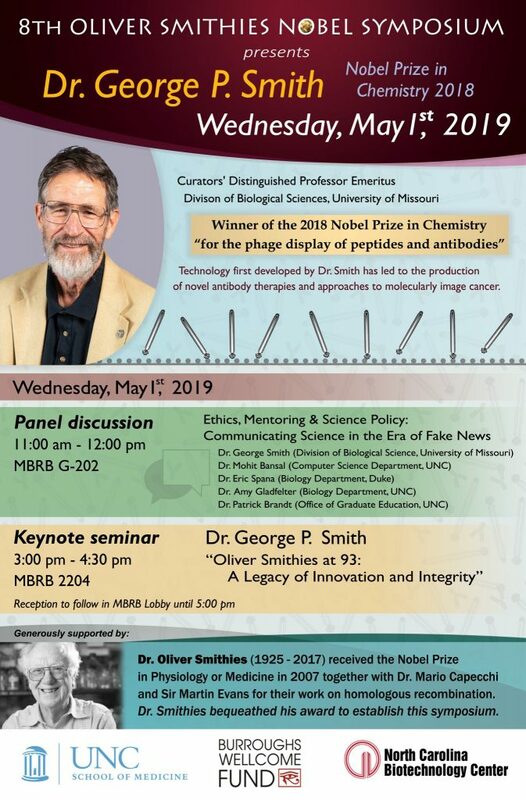 Oh, and travel awards will be given a few excellent talks and posters courtesy of Sigma Xi and The GPSF.